After arriving in New Zealand in early Feb. 2013, I was invited by the Lumiere Reader to shoot an interview for the perk of attending Homegrown, New Zealand’s largest, local music festival. On my blog, I posted my personal Homegrown experience, which was then passed on to the festival’s director. 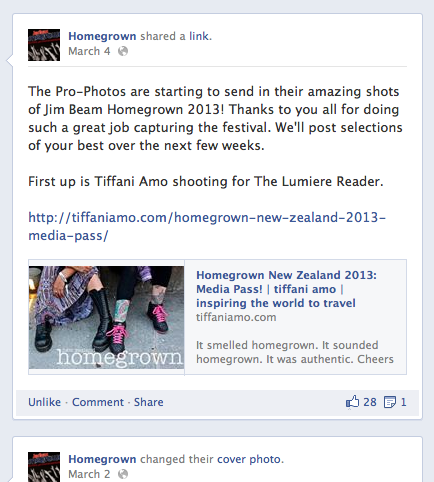 Pleased with my work, the director shared my blog on the Homegrown Facebook page on March 4, 2013.